Will take place from approximately 8:00am-5:00pm. Leader: Craig Walker. The main hike will be to the top of South Baldy, the highest mountain in the Magdalena Mountains west of Socorro. The hike involves a 4000 ft (1220m) climb in about 7 miles each way from Water Canyon picnic area at 6800 ft (2070m) to the summit at 10,800 ft (3290m). At the top, there will be great views of the surrounding country including the JVLA site. 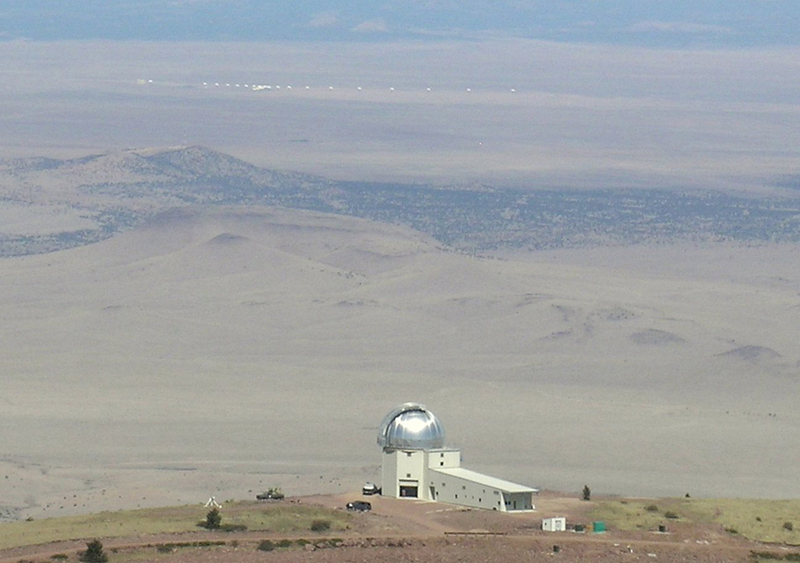 The summit area is the location of the Langmuir Laboratory which does lightning research, including firing rockets trailing wires into thunderstorms, and of the Magdalena Ridge Observatory, which is building an interferometer for astronomical research. 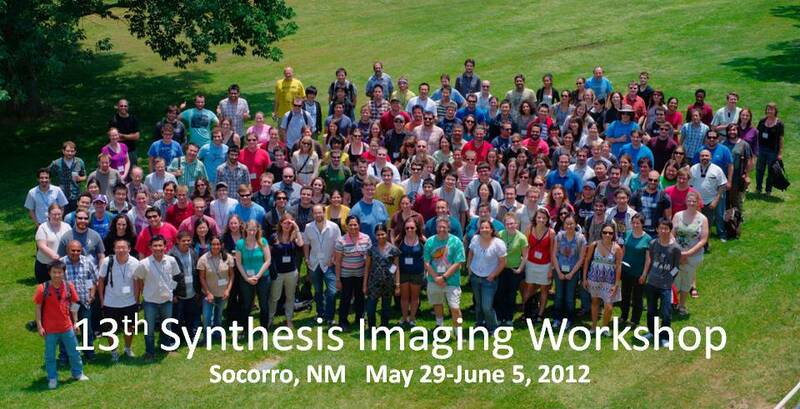 We have arranged for researchers to be at both facilities to give tours and answer questions. Two versions of the hike will be offered. One follows a difficult trail in Copper Canyon with no real options to bail out. Only the strongest hikers should go that way. The other follows the dirt road used to access the summit. There will be vehicles keeping track of the hikers on the road, and providing rides to the top for those who do not wish to hike all the way. You are welcome to come even if you know you will need a ride part way. Anyone not totally sure of their ability, or wishing to hike at their own pace, fast or slow, should take the road. On the trail, the group will be kept together. As people complete the tours of the research facilities at the summit, they are encouraged to walk back down, but rides will also be offered. Nearly everyone rode back down last time. Note that this is a long hike in dry country (although it is forested). It can be hot, and you will need a lot of fluid. But it can rain, even if clear in the morning, so you should be ready for that. If there is a threat of lightning, we will stay off the exposed areas. Decent shoes. Runners are fine, but not flip-flops. At least 2 liters of drinks. Suncream. A lot of UV gets through at this altitude. A sweater or fleece. It can be cold on top. Rain coat. Pants too if possible. A pack to carry the above. Your name badge. We will collect them at the start, and return them at the end. Any left over tells us who we lost. Will take place from approximately 9:00am-1:00pm. Leader: Eric Greisen. A hike will also be offered in the Bosque del Apache National Wildlife Refuge south of Socorro. This hike will be much shorter and easier than the South Baldy hikes, although, at the low elevations, it could be rather hot. The refuge is known for the large number of birds that winter there. In June, there will be fewer, but the hike will be led by an avid birder so you should see some. 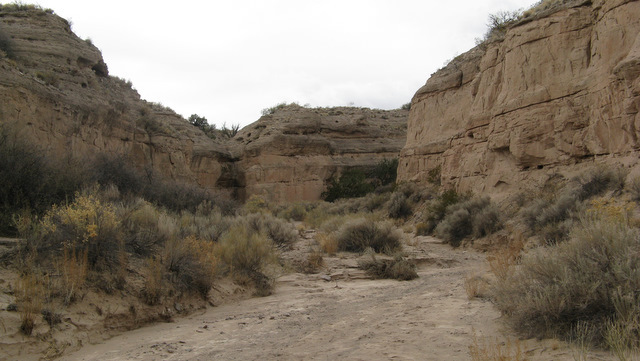 The hike will be on the Canyon Trail which goes through some sandstone canyons that are common in the southwestern US but are likely quite different from the terrain that most people know. Decent shoes. Runners are fine, but not flip-flops or sandals, the trail can get sandy. At least 1 liter of drinks. Last modified 2012 May 21.